China’s five-year plan of PLA reform marked a new page in the history of PLA transformation. 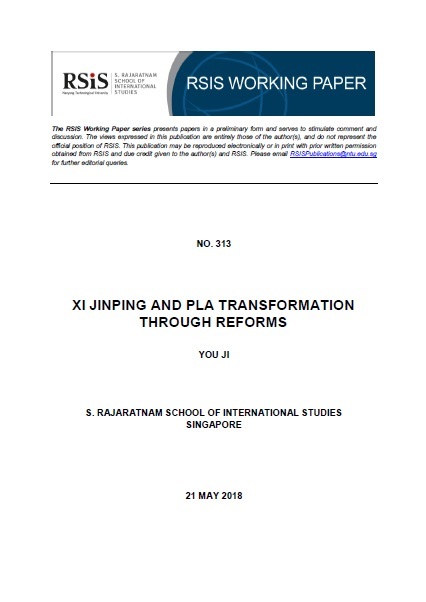 This article will analyse two major aspects of this round of unprecedented PLA reforms: (i) the politics of the military reform; and (ii) the PLA’s efforts to reshape its force establishments, organisational structure, and command chains. The first concerns Xi’s political leadership and the second draws a roadmap to remould the PLA by 2020. By now the reform has yielded substantial achievements: (i) the overhaul of the apex of power; (ii) the reshaping of the mid-level command chains of the war zone and service; and (iii) the restructuring of the overall force establishments. It has also created some transitional uncertainties as well.